How much public housing is there? Housing authorities receive operating and capital subsidies from the U.S. Department of Housing and Urban Development (HUD) to cover ongoing operating and capital costs. They use these funds for general property management, ongoing program compliance, and, in many cases, providing supportive services to residents. 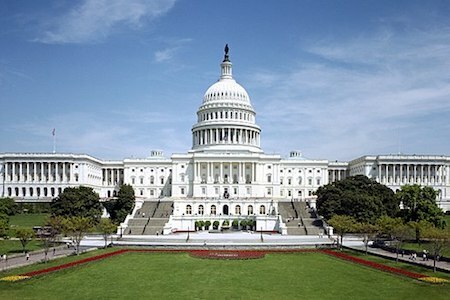 Funding for operating and capital subsidies is subject to the annual appropriations process for the federal budget. For the past several decades, funding for public housing has been on a steady decline. The Public Housing Operating Fund is the only major source of federal funds available to housing authorities, aside from tenant rent, to support public housing operations. Over the past several years, Congress has not provided the funding level calculated by formula to meet the full operating subsidy, but rather providing deeply prorated funding. The Operating Fund has only been fully funded to meet the need in 4 of the last 16 years since 2001. The Operating Fund continues to be underfunded, particularly after the devastating reductions of sequestration, and in FY13, FY14, FY15 and FY16 the Operating Fund was prorated at 82, 86, 84 and 89 percent, respectively. The Public Housing Capital Fund is the dedicated source of annual funding available to housing authorities to make rehabilitation and modernization improvements to public housing. During the last decade, capital fund appropriations have dwindled, while ongoing accrual needs have increased dramatically. 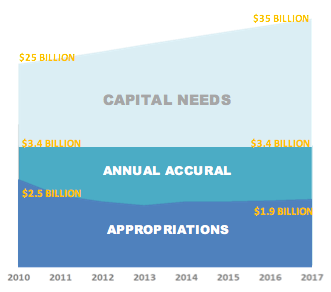 Currently, Capital Fund appropriations average less than $2 billion annually, while annual capital accrual needs are estimated at $3.4 billion. 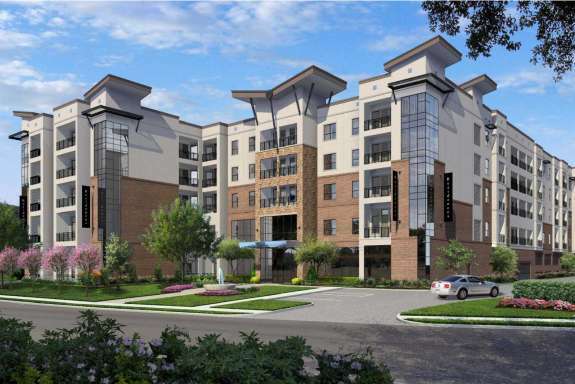 In 2010, HUD released its Capital Needs in the Public Housing Program report, estimating the capital needs for public housing to be approximately $25 billion. Based on estimated accrual rates (amount of funding needed to maintain the current stock) and recent budget allocations for the capital fund, we estimate that the capital needs for public housing has grown to at least $35 billion since 2010. What is the condition of public housing? 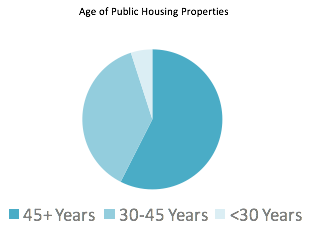 The public housing stock is aging. Most public housing units were built more than 45 years ago and decreased federal funding has made it difficult for housing authorities to do capital improvements and maintenance that would help preserve their properties. The public housing stock is dwindling. Over 250,000 units of public housing have been lost since 1995. This is mainly due to demolition of units that were in disrepair. Additionally, since 2012, over 80,000 have been converted to a Section 8 based platform under the Rental Assistance Demonstration (RAD) program. The construction of new units of public housing is very limited. In 1999, Congress passed Section 9 (g)(3) of the U.S. Housing Act of 1937, known at the “Faircloth Amendment.” This amendment limits the number of new public housing units that can be built, stating that HUD cannot fund the construction or operating of new public housing units with Capital or Operating Funds if the construction of those units would result in a net increase in the number of PHA owned, assisted, or operated as of October 1, 1999. Most people receiving public housing assistance are seniors, disabled individuals, and children. Currently, there are more than 2.2 million persons that reside in about 1.1 million public housing households, including approximately 800,000 children. Of those 1.1 million households, more than half (52 percent) are headed by a disabled and/or elderly resident, and over one-third (38%) have at least one child residing in the home. Eligibility for public housing is based on area median income; residents must also be a U.S. citizen or an eligible immigrant. Their monthly rental and utilities payments are capped at 30% of adjusted income, with the exception of MTW agencies, who are able to implement alternative rent policies. 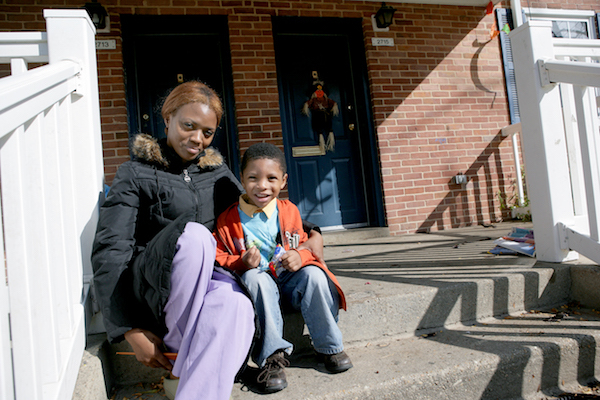 The majority of public housing residents are considered very-low or extremely low-income. Ninety-percent of households are considered very low-income, and 71% are considered extremely low-income, making less than 50 percent of area median income. The average annual household income is about $14,500. Contrary to stereotypes, most households that are non-elderly or disabled have a household member in the workplace. 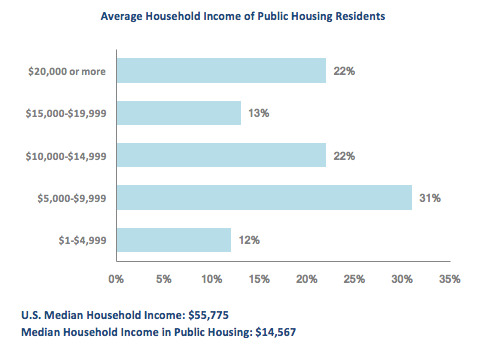 One-third of public housing residents receive the majority of their income from wages and only 5% of public housing residents receive the majority of their income through welfare. 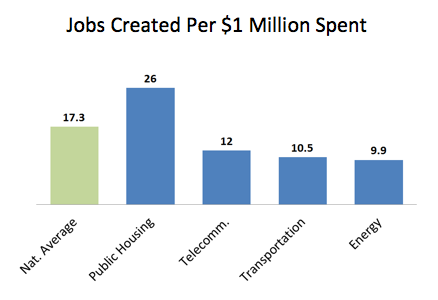 Public housing is critical for national economic success in three key ways. Research from the Center for Outcomes Research and Education found affordable housing reduced overall health care expenditures by 12 percent for Medicaid recipients. The chronically homeless, many of whom suffer high rates of mental illness and other chronic disease, are expected to be one of the costliest populations to Medicaid. Families without stable housing are less likely to have a primary care doctor and more likely to rely on expensive emergency medical services. It is estimated that affordable housing decreases emergency department expenses by 18 percent and primary care costs by 20 percent. A growing body of evidence suggests that housing instability resulting from unaffordable housing costs is linked to low school attendance, poor academic achievement, lower levels of psychological well-being and more intensive use of medical services. 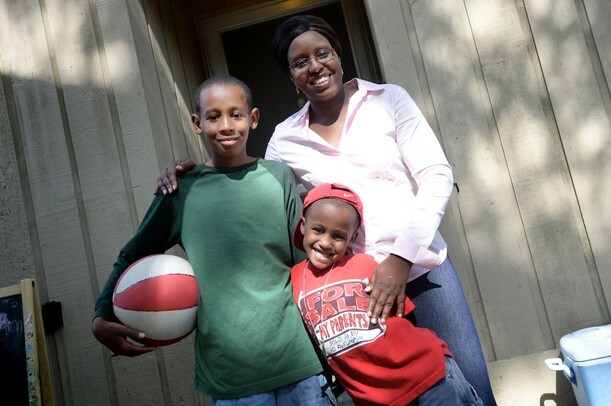 A recent study indicates that there are positive and statistically significant benefits from childhood residence in assisted housing on young adult earnings for nearly all demographic groups. Childhood participation in assisted housing also reduces the likelihood of incarceration across all household race/ethnicity groups. Researchers estimate that the growth in GDP from 1964-2009 would have 13.5 percent higher if families had better access to affordable housing. This would have led to a $1.7 trillion increase in total income, or $8,775 in additional wages per worker. Overall, the shortage of affordable housing in major metropolitan areas costs the American economy about $2 trillion a year in lower wages and productivity.